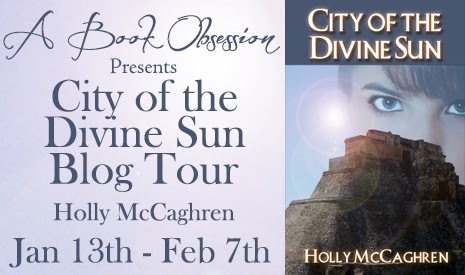 A little late, but “City of the Divine Sun” is in the middle of its own blog tour now. Details below! Enjoy! A famous archaeologist, last rumored to be in search of a hidden Maya city in Guatemala, has gone missing. Her daughter. Serena, worried and overcome by strange visions, abandons everything to search for her mother and the answers to the apparitions that have begun to haunt her. Her mother wasn’t the only one searching for Mah K’ina. The Baron seeks to plunder the city for its untold riches and is willing to eliminate anyone that gets in his way. 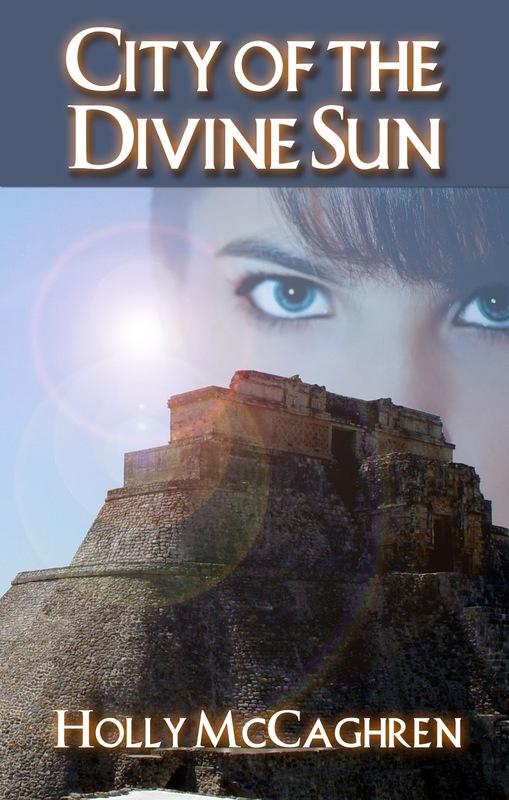 Out of her element and desperate to save her family, Serena must now rely on her past to show her the way. A rush of adrenaline flooded her system as Serena followed the rest of the group to the side of the helicopter, ducking and sticking to the shadows as much as possible. The landing pad was strangely quiet in the absence of the recent commotion; every sound they made seemed to echo cruelly across the opening. They reached the side of the helicopter without incident, and Ryder creaked open the driver’s door and motioned for everyone else to pile in. Serena ducked in the passenger seat while Hunac and Madeline slid into the back seat. Tossing their bags in the small open cargo space in the back, everyone looked at Ryder expectantly. Serena noticed he seemed nervous for the first time since she’d met him. Sweat rolled down his face as he tried to make sense of all the dials and switches on the dashboard. It seemed as though there were at least a hundred different things to look at. I hope he knows what he’s doing… None of this makes any sense to me. Serena put on her headset and looked behind her. If Hunac was nervous, it was not evident on his face. Her mother, however, seemed to fear for her life. Serena reached back and laid a hand on her knee, awkwardly, and gave her a reassuring smile. “Here goes nothing…” Ryder muttered to himself. He moved so quickly, Serena couldn’t keep up. She knew that time was of the essence. Once the rotors began to spin, everyone would know exactly where they were. The engine cranked up, and she heard a mechanical whine as the rotors started to turn. To her left, she could see the two men fly out of the building, dazed. The tall man frantically pulled out his radio, speaking rapidly to someone on the other side. Serena had no idea what he was saying, but a moment later, the man seemed to realize exactly what was happening. He turned to yell at the man next to him, and they both ran back into the building. Please hurry! We have to get out of here!! The aircraft pulled back then, leveling out before rising again. Serena saw a jeep coming into the clearing now, men jumping out and pulling out their weapons. They were high enough to be above the trees, but nowhere near out of the range of the assault rifles. If they did fire, however, the chopper would most likely crash into the trees. The Barón came out of the jeep last, looking up and making this realization himself. He raised his arm, signaling his men to lower their guns. They were too high for her to be sure, but it seemed almost like the Barón had seen her and smiled. It wasn’t a good smile, either.